In the series finale, Elliot faces his darkest period yet. As well as facing up to the death of his mother, he knows that the future of mankind - and of everything he holds dear - is at stake. But can a bunch of misfit gods, a lost constellation and a mortal boy stand up to the d... read full description below. In the series finale of Maz Evans' bestselling Who Let the Gods Out? series, Elliot faces his darkest period yet. As well as facing up to the death of his mother, he realises that the future of mankind - and the survival of everything he holds dear - is at stake. 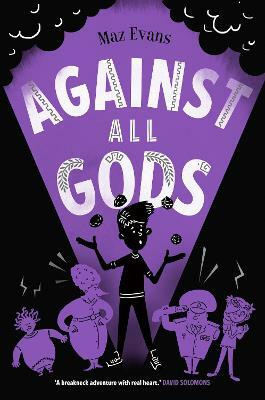 But can a bunch of misfit gods, a lost constellation and a mortal boy stand up to the daemon hordes?